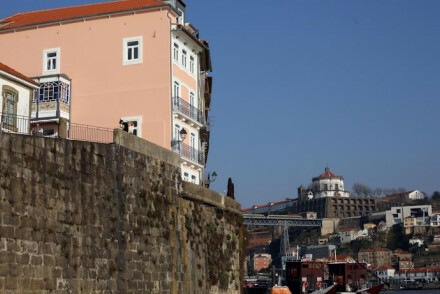 Porto's Port begins life in the vineyards which surround this city. The grapes get ripe on the water of the River Douro, which slices the city in two before opening onto the ocean after ducking under a few spectacular bridges. Not surprisingly some of the best places to stay in Porto are right beside the river. This is an ancient city. The historic Ribeira district, with its winding cobbled streets, steep staircases and orange roofed buildings, is heritage listed. Porto also has a large number of museums and gorgeous Baroque churches. In addition to all the port producers there are colourful food markets to explore. Visit the Livraria Lello & Irmão, undoubtedly one of the most beautiful bookstores in the world. Marvel at Porto's achitectural gems including Palácio da Bolsa and the breathtaking Torre dos Clérigos. Spot the quintessential Azulejo tiles, unique to Portugal and found all over the city. Spend lazy days under the sun on the picturesque beaches. Sample the local cuisine and, of course, the port. 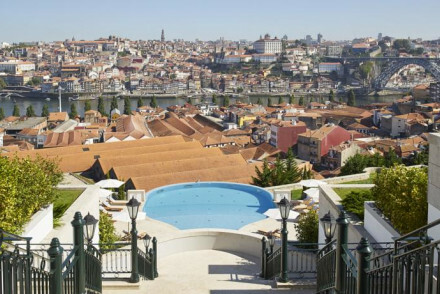 The best places to stay in Porto get booked up fast in the summer months so be sure to plan your trip well in advance. Plenty of the best places to stay in Porto are also family friendly. 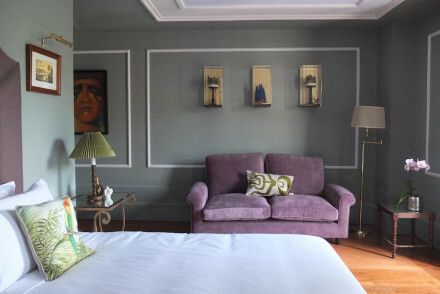 The family suites in the Hotel Infante Sagres are still decorated with original antiques and modern art, so you won't feel like you're missing out. Making it one of the most parent friendly and best places to stay in Porto. Or, if you prefer to say in B&B accommodation, the Castelo Santa Caterina is one of the best. It's a castle with gardens set back off the road and close to several major attractions. 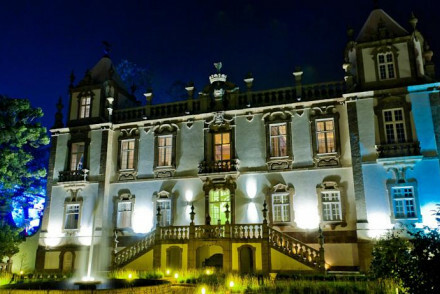 The Palacio Freixo is a baroque masterpiece built in the 18th century. There are many restored public areas, so you can pretend you're living in a palace with all the mod. cons. including an infinity pool overlooking the Duoro. Definitely one of the best places for a stunning view. 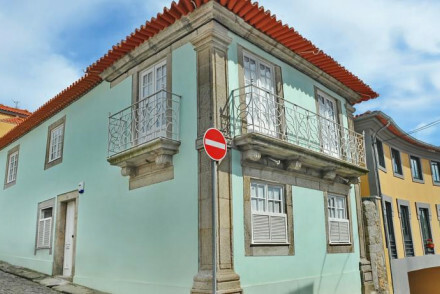 Porto's port houses are also pretty luxurious. Well known port brand Taylors has a hotel here, The Yeatman rises above the port houses and looks out over the Duoro. 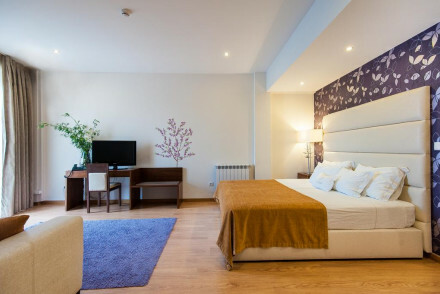 Hotel Pestana Porto is a clean and comfortable no-frills hotel in a superb position. Wonderful views of the river and over the Medieval quarter. Simply decorated rooms. A spot to immerse oneself in culture and view the historic surroundings. 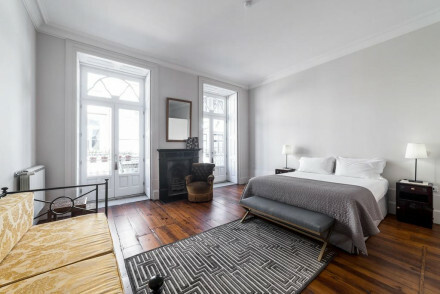 Hotel Infante Sagres is a little jewel of a hotel brimming with tasteful opulence - think stained glass stairwells, carved wooden lifts and oil paintings. Cosy bedrooms with original antiques and modern art, Cambodian inspired spa and a lovely restaurant with summer time terrace. Palatial splendour on the banks of the Douro. The sumptuous 18th century Palacio Freixo is constructed with parquet floors, frescoes, ceiling panels and a Hall of Mirrors. Contemporary rooms in neutral tones with all the mod cons. Stunning infinity pool and riverside restaurant. Rosa et Al Townhouse is a sleek chic townhouse in Porto's Old Town. Light and airy rooms and suites with clean lines and large living areas. Wonderful three course brunches and inventive modern cuisine. 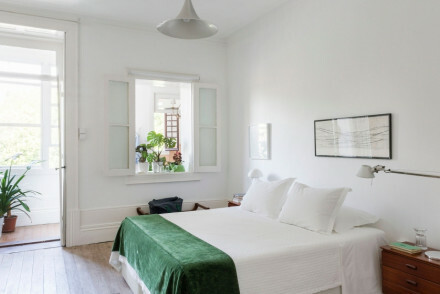 Casa do Conto is a beautifully renovated 19th-century bourgeois home in central Porto. Sleek concrete interiors marry vintage furnishings with bold design features and stark texture contrasts. A cosy blue-tinted utopia with gorgeous views over the Douro river. 1872 River House is wonderfully designed and decorated following extensive renovation in 2014 Accessed via a dazzling stained-glass hallway. Hotel Teatro is an ideal bolthole for design-conscious urbanites in a bustling setting near the theatres and cafes. Cinematically themed with dark mood lighting, projected faces and lots of golds and bronzes in the bedrooms. 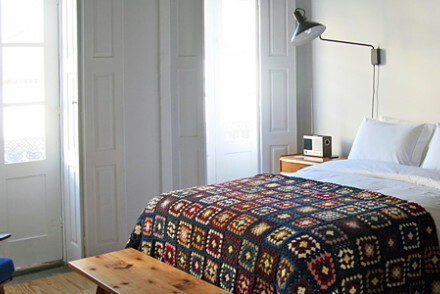 Casa das Laranjas is a charming 19th century townhouse, turned B&B in Porto's historic area. Unique and comfortable rooms marry old world charm with contemporary touches. 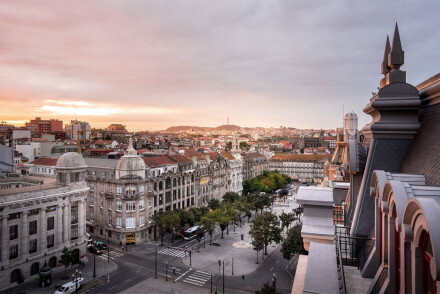 Fly to Porto's Francisco Sá Carneiro Airport located 15km from the centre of the city and well connected across Europe. The city is served by two major train stations and which serve destinations across the nation and Europe. Overall, Porto experiences a moderate climate. The best time to visit Porto is from May to September when the weather is sunny and warm. Browse through our list of all the best places to stay in Porto. Expand your search to include all our recommendations in Lisbon. Castle accommodation at rock bottom prices. Absolutely charming - gardens, authentic furniture and decorations, hand painted tiles, and a private chapel. An authentic B&B in a secluded spot. This 19th-century townhouse is now a chic guesthouse. Rooms feature exposed stonewalls, earthy tones and decorative azulejo tiles, yet the feel is fresh and contemporary. 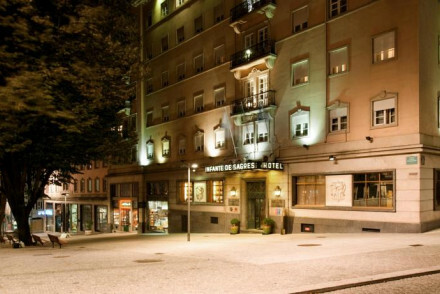 Although the hotel is located in the heart of Porto's old town, the ambience is quiet. Perfect for urban exploration. This intimate hotel stands out for its unique interior design. Each bedroom is stylishly decorated with art and pottery from Portugal's colonial days giving it a renewed contemporary feel. 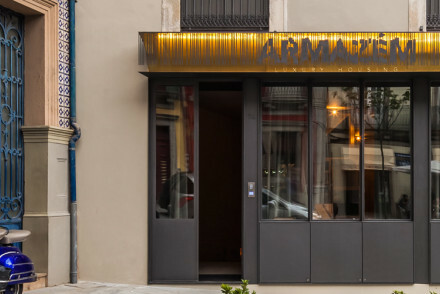 Located on one of Porto's trendiest streets while maintaining an air of quietness. A charming stay. Foodies - Porto is famous for its rich, traditional cuisine - dish Francesinha consists of meat, cheese and bread! 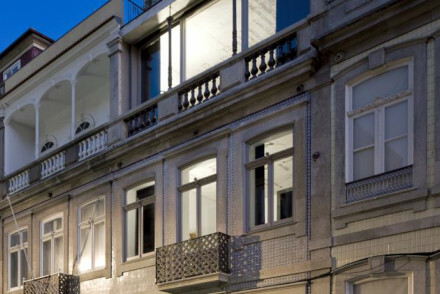 This Portuguese townhouse is now an owner-managed eight-roomed boutique hotel. Rooms are spacious; some with juliet balconies, some with kitchenettes. Vintage furniture stylishly merges with the white-wash style. 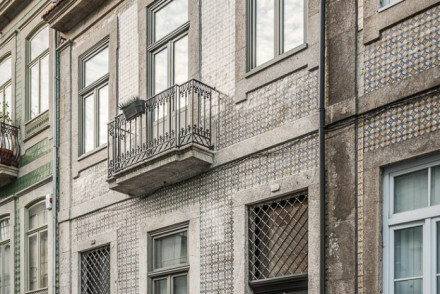 Terraces overlook Porto's bustling street life which is right on your doorstep. Great walks - Walk through Porto's iconic cobbled black and white streets to admire traditional architecture and views of the Duoro river! A sleek chic townhouse in Porto's Old Town. Light and airy rooms and suites with clean lines and large living areas. Wonderful three course brunches and inventive modern cuisine. Gardens and a cosy library/living room area for relaxing. Ideal for a romantic city break for two. 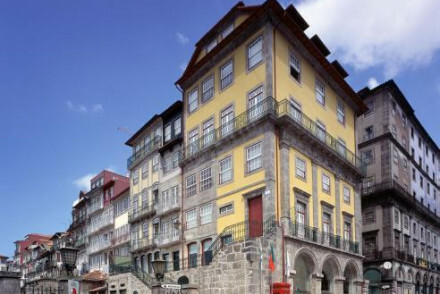 Sights nearby - Ribeira (the Old Town) is a World Heritage Site. 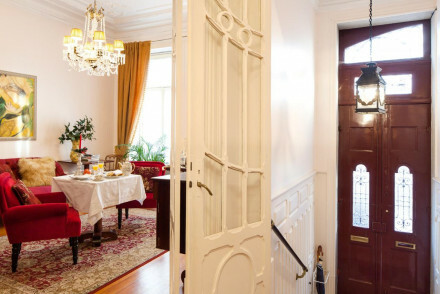 A charming 19th century townhouse, turned B&B in Porto's historic area. Unique and comfortable rooms marry old world charm with contemporary touches. The cosy sitting room, dining area and shared kitchen are available for guests use. A welcoming and homely option in a great location. Local exploring - Perfectly situated for exploring the city, with all the main tourist attractions, restaurants and bars within walking distance. Families - The whole house with four bedrooms can be rented for self catering holidays, a good family option. Beach Life - The beach is a two minute walk from the hotel. Sights nearby - The Church of St Francis is close by and well worth checking out. Housed in one of Europe's oldest stationary shops, Porto A.S. 1829 is now a stylish boutique hotel in the middle of Porto's old town. The hotel's history is emulated through vintage typewriters, whilst white-washed bedrooms offer a modern, comfortable stay. Bustling urban life is on your doorstep. If France and Portugal had a lovechild it would be this hotel. Rooms are named after famous unions made between the nations and offer cosy, romantic beds and period accents; the best have balconies overlooking the historic city. The restaurant is also a fusion affair at this charming Porto hotel. 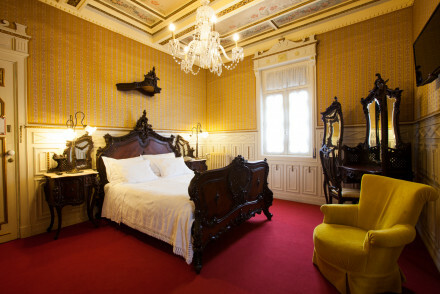 This opulent heritage hotel occupies a restored 1900s bourgeois residence in the heart of Porto's historic centre. Intricate tiles line the hallway leading to the bright, expansive suites; the best offer a charming balcony. Original features abound, updated with modern design details; regal luxury. This pretty boutique hotel is housed in a 1920s Art Nouveau building. Inside, the indivudally styled rooms have hand-selected period furnishings. The best suites have private living and dining areas, plus a charming terrace. Hosting just three rooms, this is an intimate and romantic city guesthouse. This intimate guesthouse offers three gorgeous bedrooms. Built in the 1930s, with original marble tiles, wood-panelled floors and antique furniture. Rooms are spacious, with white walls, high ceilings and ample natural light. Friendly owner Juan makes you feel right at home. Local exploring - Located a twenty-minute walk from Porto's historic centre, while Campo 24 de Agosto metro station is two-minutes away! 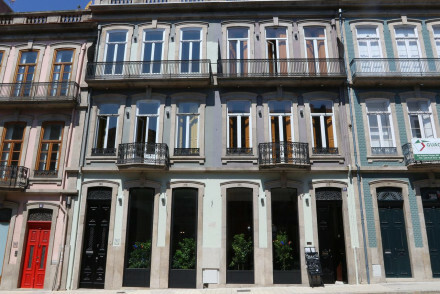 A beautifully renovated 19th-century bourgeois home, in central Porto. Sleek concrete interiors marry vintage furnishings with bold design features, and stark texture contrasts. Comfortable stylish rooms, some with balconies overlooking the city. There is a little garden and lounge with a fireplace. Families - There are lots of common areas for socialising- lounge, library, dining room and a garden for running around. City Style - Chic and modern accommodation, in a hisotric building, right in the heart of the city. Sights nearby - Visit the historical centre for its many monuments and antique facades. Local markets - The Bom Sucesso Market is a great spot to pick up some region products. A clean and comfortable no-frills hotel in a superb position. Wonderful views of the river and over the Medieval quarter. Simply decorated rooms. A spot to immerse oneself in culture and view the historic surroundings. 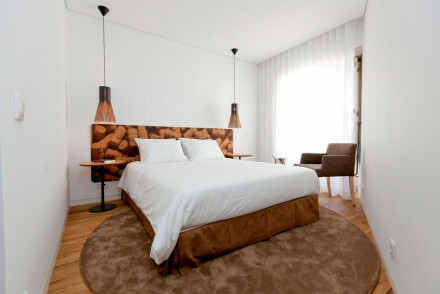 This modern boutique hotel is housed in a restored, late 19th-century building in Porto's city centre. The best of the bright suites overlook the charming terrace garden. The garden studio is perfect for families, with self-catering facilities and a lounge area; stylish accommodation downtown. 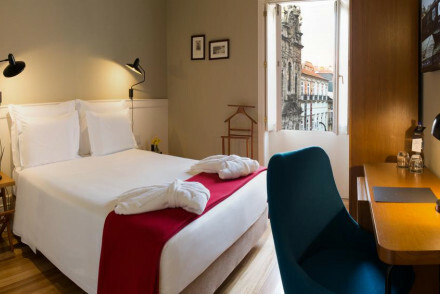 This boutique hotel is housed in a beautiful renovated 16th-century residence nestled in Porto's historic centre. The interior design pairs period touches and modern furnishings; the best rooms boast original features like magnificent painted ceilings. A charming heritage hotel in a great location. 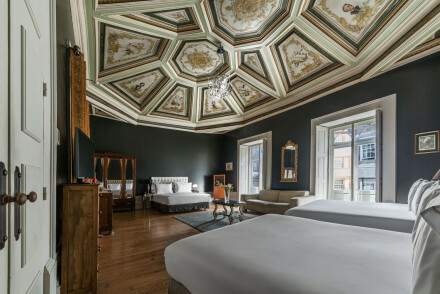 This beautifully restored heritage hotel is in Porto's old town. 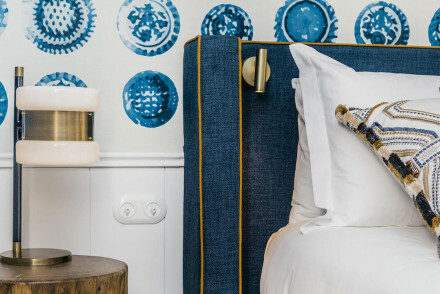 Sitting on a UNESCO World Heritage site, the warm, individually styled rooms feature unique artworks; choose from views over the Douro River or Ribeira Square. 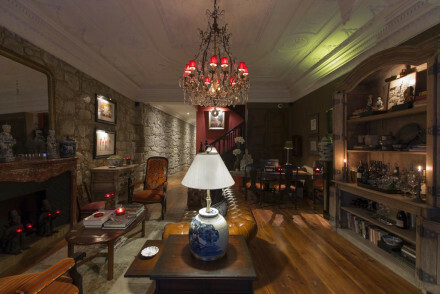 Be sure to sample the rich wine cellar at this intimate Porto guesthouse. 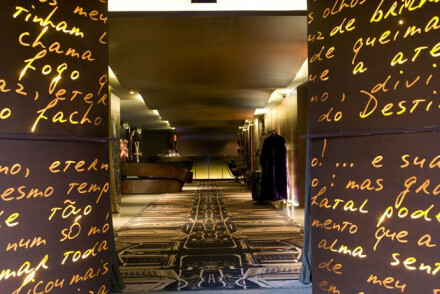 An elegant hotel offering contemporary style in an historic building in the heart of Porto. Rooms and apartments are spacious and well appointed with all the latest mod-cons. The staff are enthusiastic and friendly and the spa adds some real luxury. A smart base for a city stay. Local exploring - Perfectly positioned in the heart of the city with many of its attractions within walking distance. Great walks - Take a stroll through the pretty Jardins do Palácio de Cristal. An ideal bolthole for design-conscious urbanites in a bustling setting near the theatres and cafes. Cinematically themed with dark mood lighting, projected faces, and lots of golds and bronzes in the bedrooms. A space of relaxation in a lively spot. Sights nearby - Walking distance from some of the city's most famed sights including Lello Bookshop, Clérigos Tower and Porto Coliseum. Sailing - Take a cruise down the Douro River. 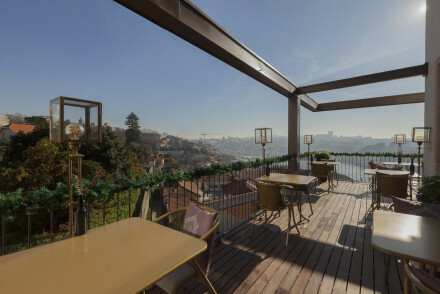 A chic hillside hotel with great views over Porto, featuring stylish yet homely interiors. The riot of colour in the floral themed bar is offset nicely by the more elegant restaurant, while light rooms are bold and colorful or muted and sophisticated. The indulgent spa and pool are a real highlight. 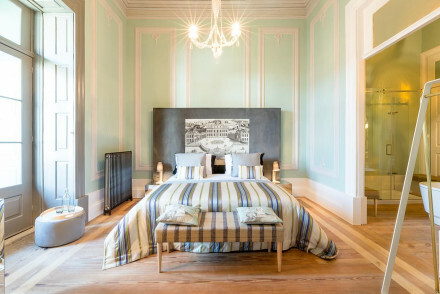 This luxury accommodation occupies a converted 19th-century warehouse in downtown Porto. The bold interior design nods to the building's history with exposed stone walls and iron and wood accents. Self-contained apartments offer a stylish living space, great for groups. A unique, avant-garde hotel. A little jewel of a hotel brimming with tasteful opulence- think stained glass stairwells, carved wooden lifts and oil paintings. Cosy bedrooms with original antiques and modern art, Cambodian inspired spa, and a lovely restaurant with summer time terrace. Ideally placed to explore the city. City Style - Located in the UNESCO heritage site of Porto, the interiors mix neo-baroque, antiques and contemporary style to great effect. Sights nearby - Walk through the UNESCO heritage city centre and see the Sé Church, the Clérigos tower and the D. Luís bridge. Local markets - Check out the charming Mercado do Bolhão market, where you can pick up local produce straight from the farmers. Sailing - Take an exhilerating ride on an Xtreme Jet Boat River Safari. Palatial splendour on the banks of the Douro. A sumptuous 18th century construction with parquet floors, frescoes and ceiling panels, and a Hall of Mirrors. Contemporary rooms in neutral tones with all the mod cons. Stunning infinity pool and riverside restaurant. Ideal base for exploring. City Style - A stunning 18th-century Baroque palace boasting frescoed ceilings, gold-trimmed mirrors and infinty pool right on the river. Total relaxation - Spend some time rejuvinating in the Turkish bath, followed by a pampering spa session and a cocktail on the waterfront. Sights nearby - Daily shuttles to the area of Ribeira where you can see Fundação Serralves and Casa da Música. A cosy blue-tinted utopia with gorgeous views over the Douro river. Wonderfully designed and decorated following extensive renovation in 2014, and accessed via a dazzling stained-glass hallway. Enormous range of breakfast options including fresh local produce. A perfect location for a tranquil stay. Local exploring - Boasting a prime riverside position, walking distance from the UNESCO historic centre. Hideaway - Tucked down a narrow sidestreet, 1872 River House is an ideal hidey hole for those looking for a blissful retreat. Local markets - Get lost in the famed Mercado do Bolhão (market) between the barnacles and the pigs hooves. Sights nearby - Explore the World Heritage sight of Ribeira with its baroque churches and pretty townhouses. A 16th-century Portuguese townhouse turned 5-star boutique hotel. The hotel's ten suites are luxuriously designed, some with Picasso hangings, some with private patios. All come with a private butler. An intimate, romantically lit haven, in the midst of Porto's bustling Old Town. Sights nearby - Visit bustling Ribeira Square or Porto Cathedral - both can be seen from the hotel's suites! A five-star luxury hotel and spa in the heart of Porto. The rooms are dressed in 1930s-style décor in keeping with the building's history. Choose an apartment suite for an opulent home away from home feel. Relax in the spa's indoor pool or re-energise at the hammam. A stylish and relaxed city hotel. A hotel that defines its destination. Luxury in abundance - huge beautiful suites with views over the Douro, lavish marble bathrooms, fantastic spa, and infinity pool. Designer in style whilst keeping comfort and character in tact. A very special hotel. Spa breaks - The superb Vinothérapie Spa boasts a tepidarium, Roman bath, sauna and hammam plus a range of Caudalie Vinothérapie treatments. Sights nearby - Wander around Take Old Porto and be sure not to miss the cathedral or the Gothic São Francisco church. Sailing - Take a '6-bridges cruise' along the River Douro to the mouth of the Atlantic.